Lucky for us, it was a ton of fun! 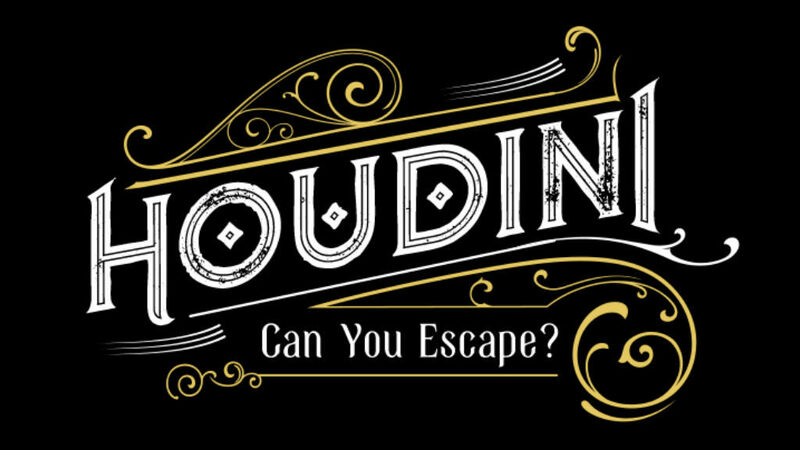 Located at 60Out’s newest spot in Silver Lake, CA, HOUDINI opened only a week ago and is already garnering a huge buzz in the local escape room community. We were able to visit it right before it opened for bookings, but everything was already running pretty smoothly. The premise is that legendary escape artist Houdini wants to see you and your team in action before deciding if you should join his school. He has set up a series of demonstrations that you must escape in order to show him that you have what it takes! We’ll start by giving kudos to our fabulous, patient and sweet game master, Cassandra! An alarm went off at the location so she basically had to start over with getting us set up inside, but did so quickly and with a smile. Once we began, we were off without a hitch. 60Out has this room marked as ‘medium’ level, which is fair depending on your level of expertise. Novices and intermediate teams may find some parts challenging, while the linear and logical flow of the game would rank it amongst easier quests for veteran teams. We were out with 16 minutes to spare, including a small game malfunction, but we had an absolute blast playing this escape room together. Even with the maximum 5 players, everyone had something to do, and there were many great opportunities for teamwork. Would we recommend this escape room? Yes, highly! This is easily one of the best rooms we’ve conquered. If you intend on visiting Houdini, plan to get there earlier than you usually would. It takes a few minutes to get “situated.” Those with severe claustrophobia may want to skip this room, or have friends check it out first, as you are restrained for a portion of the game. A panic button is easily accessible and clearly pointed out. Please note this room also requires some physical activity throughout so wear comfy clothes and sturdy footwear!